You will serve as a lead technical expert, advisor, and consultant for engineering design and construction requirements associated with the operation of the U.S. Army Garrison – Kwajalein Atoll/Reagan Test Site. 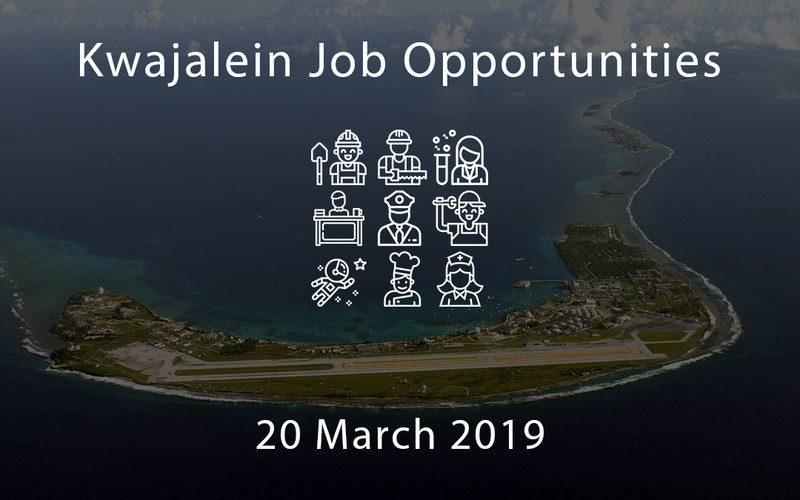 As a Police Officer will work at the Provost Marshal at Reagan Test Site, U.S. Kwajalein Atoll located in the Republic of the Marshall Islands. In a training capacity, will receive direct oversight from the Supervisor or higher graded employee who will make individual assignments for the prescribed shift; indicate what needs to be done; the priority of assignments; and bring to the attention any special concerns or techniques that should be used to the handle the assignment. Serves as Security Specialist responsible for oversight and administration of the following industrial security functions: Key Control Program for Reagan Test Site (RTS) facilities; this includes approximately 120 facilities and 35 Key Control Officers (KCOs); Government Property Accountability Program (100 Government assets); RTS Building Force Protection Manager (BFPM) List and participation in Army sponsored Force Protection Management Program; Common Access Card (CAC) Administration; RTS Facility Intrusion Detection System (IDS), Installation Management Command (IMCOM) and IMCOM Tenant Organizations; Foreign Travel Reporting program; Supporting additional industrial security administrative functions as required. The Class I warehouse Lead oversees the medical logistics facility and ensures services are integrated into the clinical and operational aspects of the hospital in collaboration with health care providers and department managers. Directly responsible for assisting in maintaining an effective and efficient medical warehouse receiving, storing, inventorying and performing quality assurance inspections on medical supplies and equipment. The Welder III welds metal components together to fabricate or repair products according to layouts, blueprints or work orders and provides training and oversight to more junior employees. The Store Manager is responsible for the overall retail store management and operations in compliance with the guidance set forth in the contract to operate a retail store at a military installation.